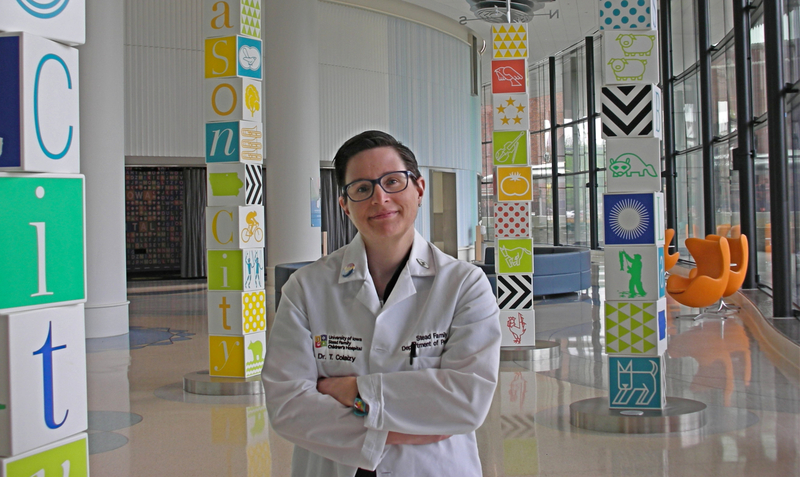 I saw Iowa as a place I could get the support and mentorship I needed to develop a successful career in neonatal patient-oriented research. Frank Morriss, who was my first mentor here. I have been working for 10 years to study the safety, health, and nutritional outcomes of very low birthweight infants fed donor human milk, as well as to expand and promote human milk use in this population nationwide. When I was a student, preterm infants were considered to be too early to survive at 24 weeks of pregnancy. Now, infants born at this gestational age here at the University of Iowa have an 86% survival rate. Always closely observe and listen to your patients and their families. Always be kind, I have never wished I had been less understanding in any interpersonal interaction. I am one of the few remaining humans who enjoys large lecture teaching, I routinely travel the US talking about human milk, nutrition, and breastfeeding in preterm infants. I train and compete in the sport of Weightlifting, and recently qualified to compete at the 2018 Masters’ World Games in Barcelona, Spain. My husband and two middle school aged kids and I enjoy outdoor pursuits like hiking and biking together, as well as comic books and science fiction movies.